Near the church in Rougemont, in Pays-d’Enhaut, children can have fun in the snow with their sledges, toboggans or saucers while the colourful outlines of the Barbapapa family watch over them. 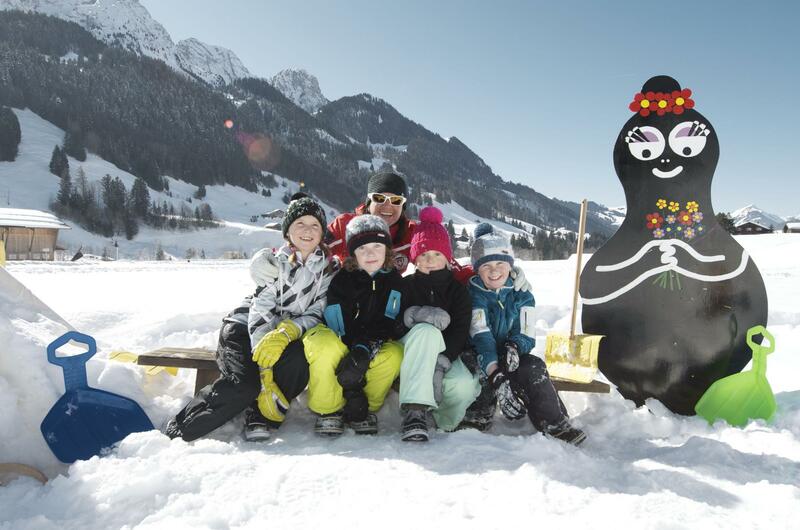 Kids just love playing in the snow with the Barbapapa family! Throughout the winter season, these comical cartoon figures come to the village of Rougemont in the Vaudois Alps to keep the children company as they slide down gentle or steeper slopes on their sledges, toboggans or saucers. There’s also a tipi with buckets and spades to play with and saucers to slide down the little slopes on. For the little ones, there’s a hunt for the Barbapapa baby game. Take your answer to the tourist office and get a surprise gift.